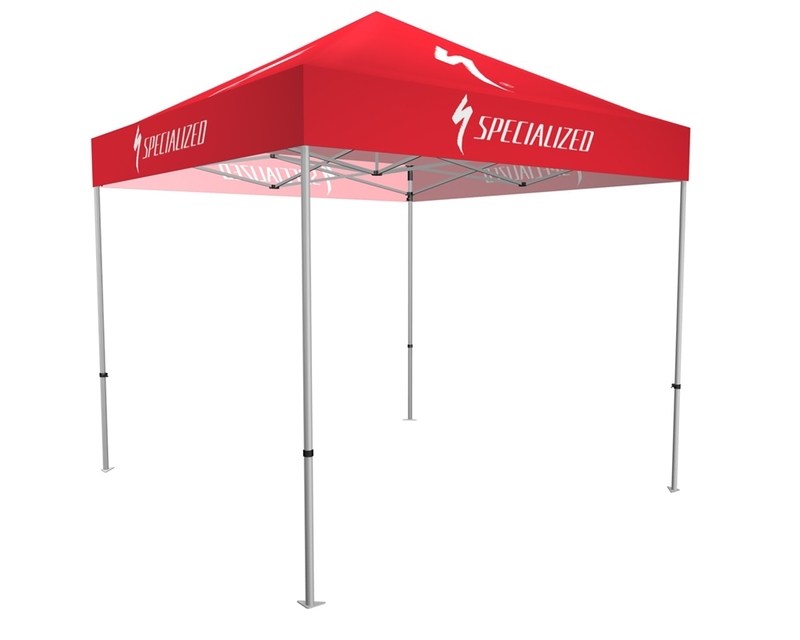 Choose Zoom tents for brilliant brand exposure with protection from the elements. 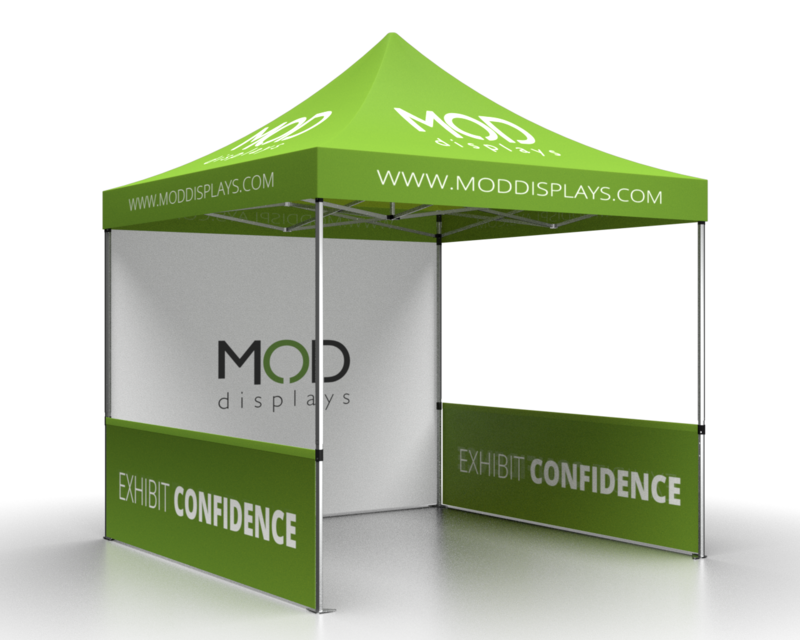 Full sized and half-wall panels combine to get you noticed while protecting your merchandise and your team from sun, wind and rain. 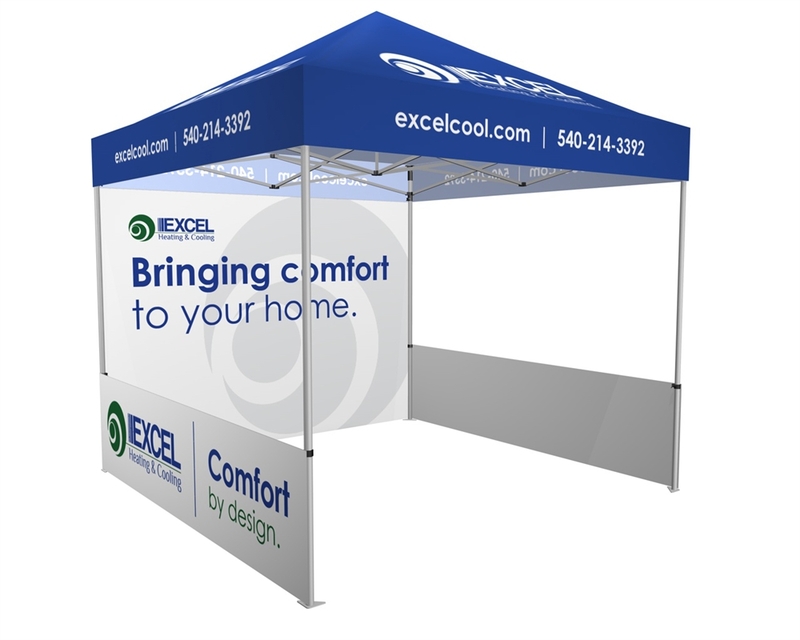 Easy to assemble outdoor tent featuring a custom printed canopy. Price includes 4 ground stakes and a wheeled soft case.